Coming down off that turkey high and getting ready for the madness of holiday shopping? 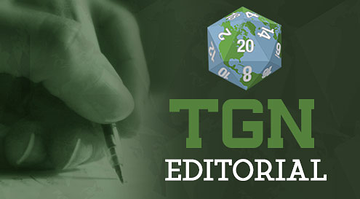 TGN’s Enrico Nardini shares his thoughts on supporting your FLGS this Black Friday and Small Business Saturday. The web may rule all in terms of the dissemination of information. I love that the content I write about our great hobby is transferred from my mind to yours with alacrity and efficiency. The growth and reach of our shared past-time can be magnified by it, and when you really sit and think about it, it’s kind of amazing that I can share pictures of my painted miniatures, a new RPG character, or a decklist with gamers thousands of miles away. We live in a “golden age” of convenience; ordering the latest board game is accomplished with a few keystrokes.